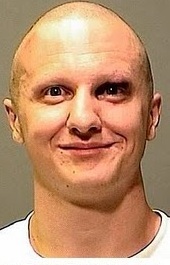 I’m looking at the mug shot of Jared Loughner and it is pretty sad to say he is totally enjoying this. This is the saddest thing about it all. This guy was an absolute loser and now is a part of history. I think he is going to ride this for a long time. He believes he is now somebody and THAT, not any rhetoric is the real danger when it comes to guys like this who choose the easy way to become known. I think this guy needs prayers and I think a regular set of prayers for those disturbed that we don’t know about would be a good project for a rosary. Join me in giving thanks and praise to God Most High! today I was accepted into Graduate School at St. John’s Seminary in Brighton, MA! I will be working on my Master’s in Pastoral Ministry for Laity…. I can tell you there is absolutely no comparison between my situation and hers and anything you can do to give her a hand either via cash or via prayer would be a blessing. Cheney, it seems, didn’t have much choice. In mid-July he underwent heart surgery. Doctors implanted a mechanical pump that is typically given to people with heart failure so serious that they would probably die within months without the device. Since then, he has not made any new public pronouncements denouncing Obama for putting the nation’s national security at risk. And there’s no telling if Cheney will ever be able to do so again; there’s been no reporting on his current condition. Considering his heart situation he has lived a full and useful life, I wish him a full recovery but if he doesn’t recover I thank him for his great service for the country and promise to remember them after he is gone. …you know I’ve always assumed that some traumatic personal effect had a lot to do with Charles Johnson’s volte fache over the last couple of years. That along with an ability to hold a grudge is bad news indeed. it turns out, every link in that post to one of charles’ posts regarding the flight 93 memorial is dead now. so here’s a screenshot to show that google’s spiders, with their indifferent eyes, have recorded charles’ deceit. and Wrist action using a bit of irony in his follow up post. I won’t rob him of the link go and check it out. Little Green Footballs is becoming littler by the day. Ironically his dishonorable attacks on Robert Stacy McCain and my banning led to our friendship, the Scott Brown stuff, CPAC the Tea Party express coverage and my recent trip to Blogcon. This only goes to show that God takes even bad things and can use it for good. I’ll keep praying for Charles, and you should too, not in the hopes that he changes political sides again but I’d like him to get over whatever is troubling him. Life is too short to spend it angry.